It's Secret Recipe Club time! Each month SRC members are assigned another member's blog in secret to peruse and choose a recipe to make, photograph and blog about. Reveal day is seriously one of my favourite days! This month I was assigned Shockingly Delicious by Dorothy and let me tell you I spent many happy hours perusing her blog (when I should have been studying!). Dorothy has 25 years of food writing and recipe development experience and it really shows. Her blog is full of scrumptious 'scary good' food and is beautifully written. I thought I had a lot of cookbooks but Dorothy has more than 400! There were quite a few recipes which caught my eye. I will definitely be surprising my kids with her Strawberry-Citrus Frappe after school one day soon, and I can't wait to try the Breakfast Banana Chocolate Chip Bread Pudding with Leftover Panettone after Christmas (it might take me until then to perfect a dairy-free version of that one!). But after all that I really couldn't go past these peanut butter cookies. I already have 2 recipes for peanut butter cookies here but neither of them are as simple as this one, and that's exactly what I'm after these days. With only 5 ingredients and no flour or dairy these fit the bill perfectly. I've made 2 batches this month, one with peanut butter and one with almond butter and both were gobbled up in record time. I used natural peanut butter so added 1/2 teaspoon of salt to the batter. Preheat the oven to 180 degrees Celsius and line 2 baking trays with baking paper. In a food processor or large bowl with electric beater, beat all ingredients together until smooth, about 1 minute.Scoop out teaspoons of mixture, roll into balls and place on prepared trays. Flatten with a a fork. Bake for 10-11 minutes. They will be just golden brown around the edges. Remove from the oven and allow to cool on the trays for 5 minutes before turning out onto a wire rack to cool completely. Try to stop at just one. Dorothy got 32 from this recipe but I got just 22. Wonderful! So glad you liked that simple recipe! Yeah, you can make them any size you like. I like to make them on the small side so I can "justify" eating 2! Suit yourself as to size, with whatever cookie scoop size you like. Love peanut butter cookies!! Such a perfect classic! Yum, Susan! I love Dorothy's blog too. These cookies look just beautiful. Great recipe. 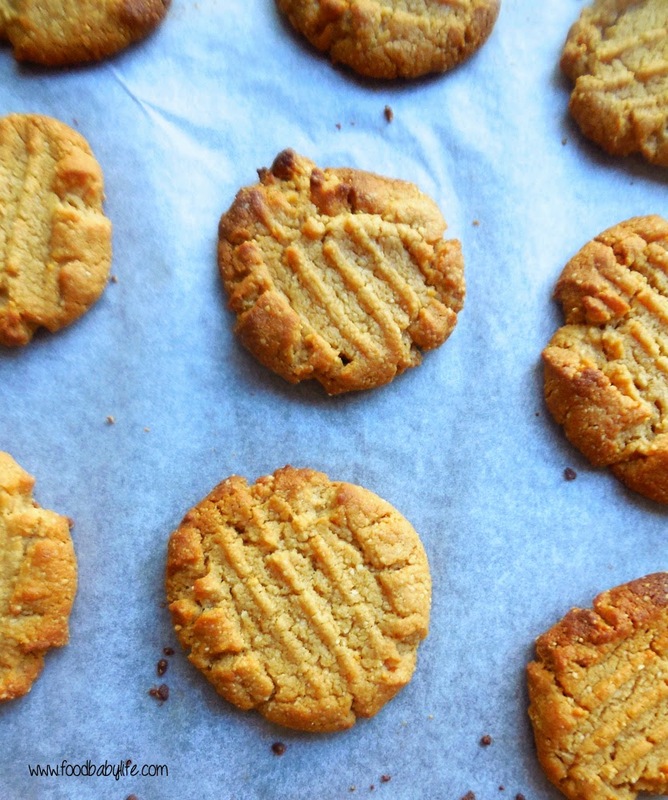 I love a peanut butter cookie, and I love that these are gluten-free and dairy-free. I love easy recipes for cookies. Cookies are great. These look super good...just like grandma's with the fork tops. Happy Reveal Day! I will have to try these. No flour cookies...who'd a thought. 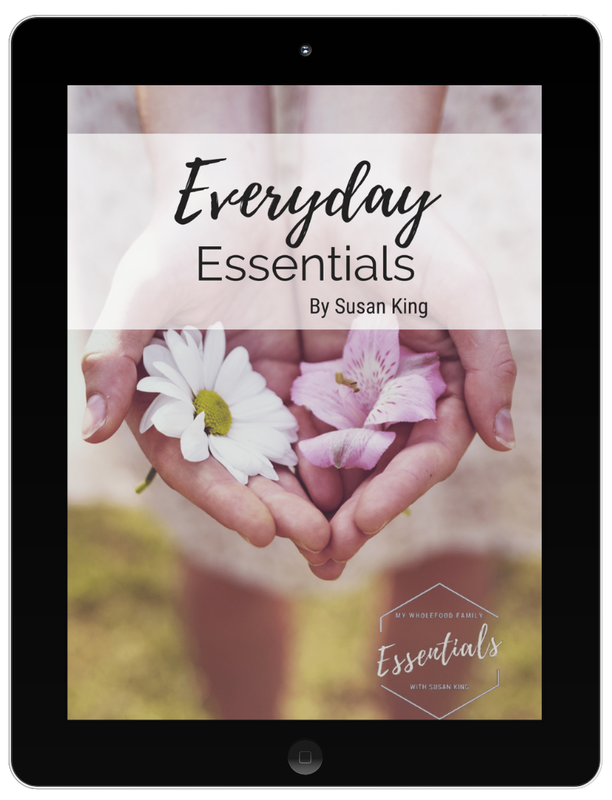 I love Dorothy's blog! And I have a soft place in my heart for peanut butter cookies. I'll have to try these - I love that they're flourless! I love that the ingredient list is so short -- they look great! I love these cookies! I've made something similar and they are so peanut-y and tasty!! YUM! With such a short ingredient list these are perfect for that last-minute-I-need-to-bring-cookies-to-a-party recipe. Great choice this month. Oh peanut butter cookies always make me think of childhood - great pick for SRC this month!